We start with a free consultation to determine what your needs are. Are you looking to buy a ranch or do you already own one. What do you do next? Do you need help determining how many guests you need and what to charge in order to break even? What activities will you offer or how will your riding program be set up? We then work with you to build a plan to help in the needed areas. Ranch Planner is a powerful tool designed to give accurate five year financial projections and allows you to see how your ranch will be affected if you change things such as number of guests per week, hire more staff, give raises or change operating costs. We start with about a one hour phone consultation. Then we do the initial data entry for you and produce your five year projections. We then send you the program with your data. you can then use it to produce "what if" scenarios and get a better understanding of how business decisions will affect the bottom line. There are many important aspects to running a successful dude ranch. Many people would put horses at the top of that list. Dude ranching, though, is not simply a horse business but rather a business of taking care of people on a horse-related vacation. This distinction is important because it helps to clarify the business mission. 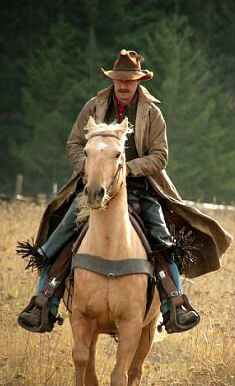 All guest ranches have horses, scenery, activities and lodging. About half even have good food. Therefore it is a ranch's staff and how they treat their guests, that sets them apart from other ranches. So whether you are just starting out or have owned your ranch for years, I can help with lasting management programs, policies and procedures.